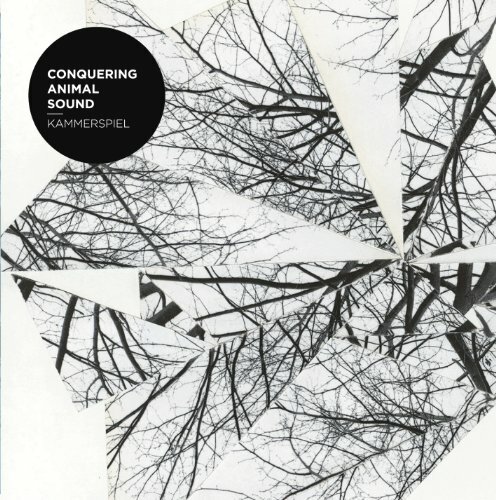 A few months ago, we reviewed the wonderful Kammerspiel by Conquering Animal Sound. The band is currently quite busy but managed to answer a couple of questions that were sent their way. 1. First of all, a basic question: what’s the story behind your band name? Jamie once showed me this magazine that had a feature on English soundsystem culture in the early 1970’s, and there was a picture of the group “Conquering Lion Sound”. This picture seemed to exude such exuberance and warmth that we felt we had to pay it tribute in some way. The name was also flexible – conjured some really good images – the sound of a conquering animal! 2. What’s your main inspiration or reason to write lyrics? Lyrics are important. They help to further emphasise the mood of a song; the celebration in words of what there is in the music. I usually think about lyrics seperately in the beginning, bringing them to life when we have the sounds to go with them. They help me to make sense of the sounds, and to engage with some ideas that i have been thinking around. 3. Who is the musician/artists that inspired you or led you to make music of your own? I listen to a lot of electronic music – at the moment a lot of music made by women – Laurel Halo, Inga Copeland, Daphne Oram. Although I try not to become too influenced by music in this way: sometimes when a musician or artist has too clear a picture of a certain style or way that they want to sound, the music can tend to come across a little disingenuous. I find influence in a lot of other places, films, some general life experiences, telephone conversations with my brother, books that I am reading. 4. In the quest for new sounds, how do you give structure to each one of your tracks? I think we have got the process down these days. We spent a long time working out how this was going to work, trying things out with no specific goal in mind. We tend to spend a while improvising sounds, using hardware, some (really rubbish) samplers, playing keyboards and synths – we then record aspects of these sounds – play around with their form in software, editing as we go, building things together. 5. A fan question about your song Wasp (it’s really mesmerizing! ), any particular story about this song? I was thinking a lot about the idea of senses which linger (emotions, instincts), long after a particular situation or event is over. Like how things work in geology – the effect of an event is described in the way that a particular rock formation grows. Or the way a film, space or piece of music can create associations with a particular time in ones life (depending on what was going on at the time). Some things stick around. 6. How was it collaborating with the Tinderbox Orchestra? How did this collaboration take place? My friend Jack Nissan had the idea to start the tinderbox orchestra a few years ago. He always talked about it, and I thought it seemed like this huge undertaking. A lot of hard work later and the orchestra is doing some really interesting things. For me – working with an orchestra seemed like a daunting but amazing proposition – I come from a world of small things and an orchestra is certainly not that! I hope to work with those guys on something in the future. So great! I love touring further afield and we have been really lucky to play in a weird variety of settings. From a living room in Paris to a 200 capacity venue in Belgium, and we are always treated very well wherever we go. Food definitely has something to do with it too. We were in Santiago De Compostella a few weeks ago and ate possibly the best meal i ever have – octopus and bull! 8. There has been recently a debate about the impact on the music industry due to iTunes and other similar tools. How would you describe your experience having these media and resources available for you? I think these ways of distributing music have the benefits and their negative aspects. I’m not sure if your talking social networking or selling music digitally? I would say that social networking sites are super useful tools that give unknown artists a platform and allow the public a space in which to engage with them. 9. In the sense of digital vs. analog recording. Which one do you favor? I would love to work sometime in an analog studio- I have recorded some vocals on tape in the past, and the sound quality, wow, all that grain and depth! I don’t think that you can capture some qualities of sound digitally. However, it is a much more malleable process, you can edit things, its flexible, cheaper and for now is the only affordable and most workable option. 10. Any plans for a new album in 2012? Yes, we have been writing for a while now and we’ve got a bunch of new songs together. We’ve been playing them on tour, trying to firm up exactly how we want the recordings to sound, as the songs really develop when we play live. I have been thinking a lot more about rhythm in my voice recently, we wanted to make something faster and maybe a little bit more pushy or direct. So this winter will involve some hibernating at home finishing the recordings, something which i am really looking forward to! All being well we shall have something to release at some point next year. Conquering Animal Sound Facebook. Tumblr. Twitter. Last.fm. Posted in Interview, InterviewsTagged Conquering Animal Sound, Gizeh Records, Interview, KammerspielBookmark the permalink.